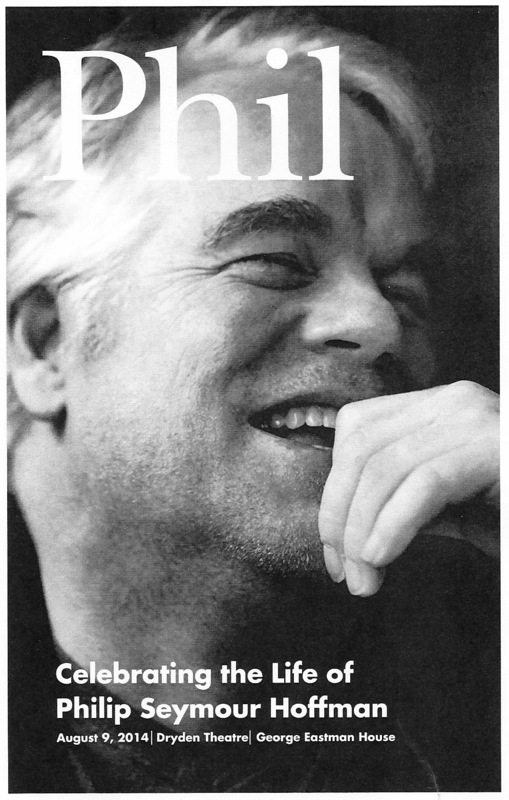 Philip Seymour Hoffman died yesterday. I think I’ve seen all of his movies, many of them as a projectionist, which means I saw them over and over. The shadow and influence he cast on my artistic career is inestimable. We went to the same high school (he was two years older), and it is well known that our drama club instructor spotted and encouraged his talent. That same instructor referred to me when she told the music director of Mame, “I can’t do anything with your singers.” That was the moment I realized I had no future on Broadway (she was right) and more than anything it’s what kept me backstage as a lighting designer for many years. I acted in my first non-musical, The Seagull, in 2012. I joked that I was finally breaking the curse of Phil Hoffman, but he hadn’t cursed me. I’d seen enough of his performances by then that he informed every decision I made as an actor. I’d loved and hated the film Happiness, in which he played someone who made obscene phone calls while masturbating. One critic referred to that aspect of Hoffman’s acting as extremely ethical, which I get. He made no judgments about his characters, he just presented them honestly. It’s something I’ve aspired to as an actor, sometimes suffering to inhabit characters I don’t necessarily like. I played a child molester in The Who’s Tommy last fall. Living with that character and understanding him was the most depressing thing I’ve done on stage. It’s nothing compared to the work Hoffman did, but it helps me to understand how painful his art might have been to him. The best actors do something profoundly generous – they present humanity in all of its aspects, for the benefit of those who witness their performances. I’m angry at Phil because we won’t have any more of his performances. At the same time, especially as someone who has suffered from depression and who has administered inappropriate self-medication, I can begin to understand the demons that drove him to his end. My heart goes out to his family and all who were touched by his life and work. Posted in Memoirs, Movies and tagged Philip Seymour Hoffman. Bookmark the permalink.